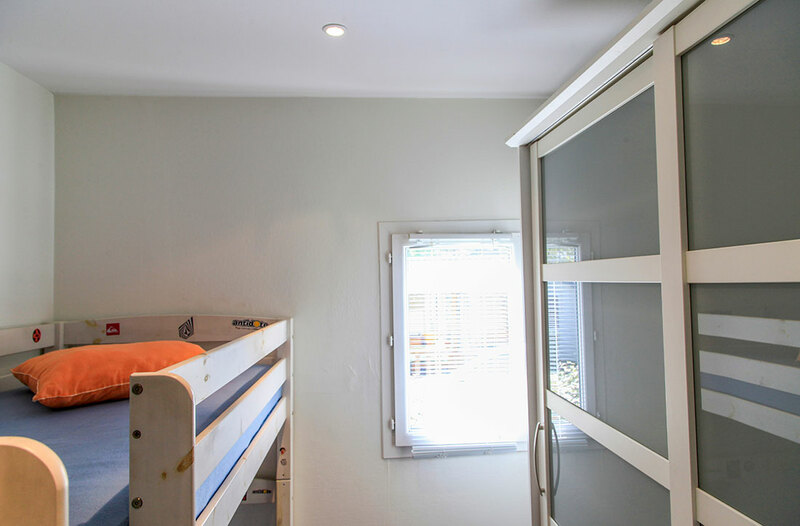 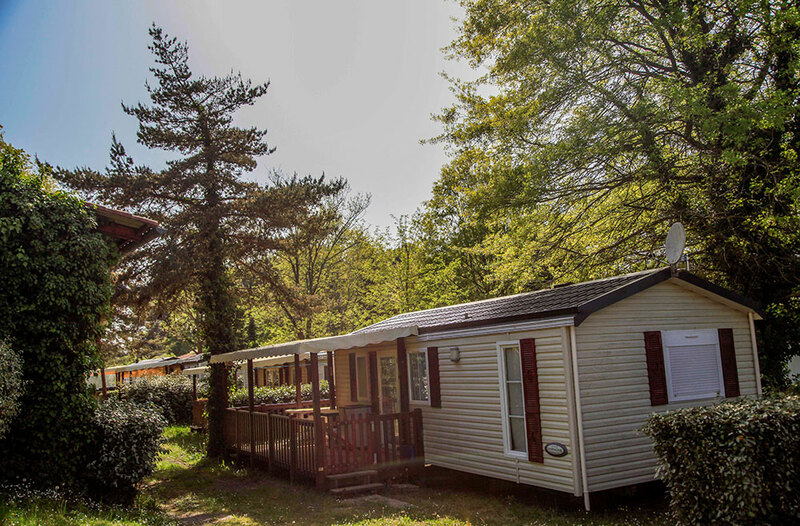 One very popular rental option at La Civelle campsite is the fully-equipped, 5-person chalet with terrace. 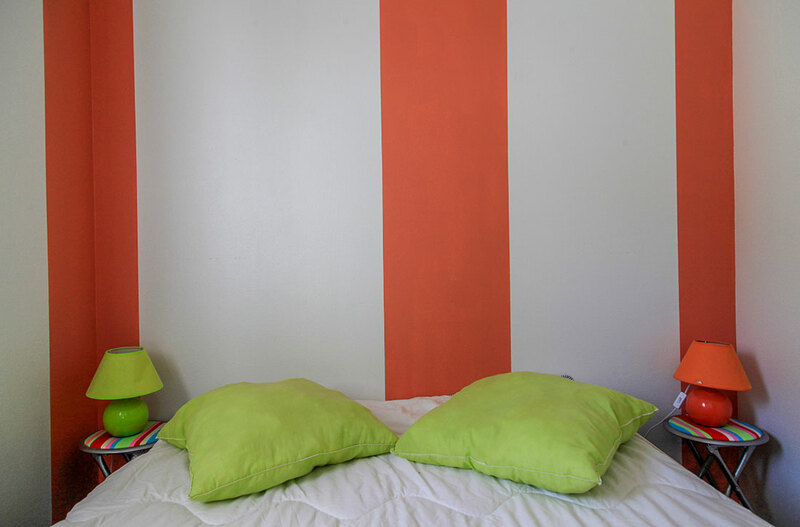 Our “Mimosas” chalets are fully equipped, offering you relaxation and enjoyment. 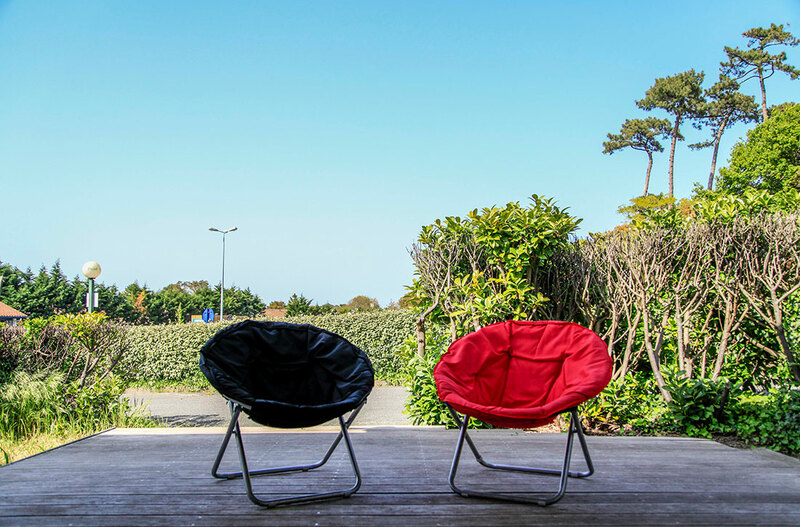 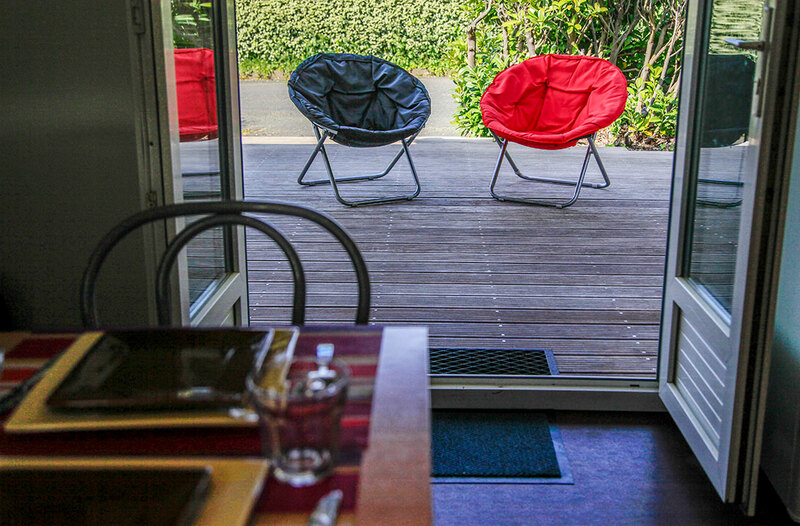 With a total surface area of 25 m2, they offer every possible comfort. 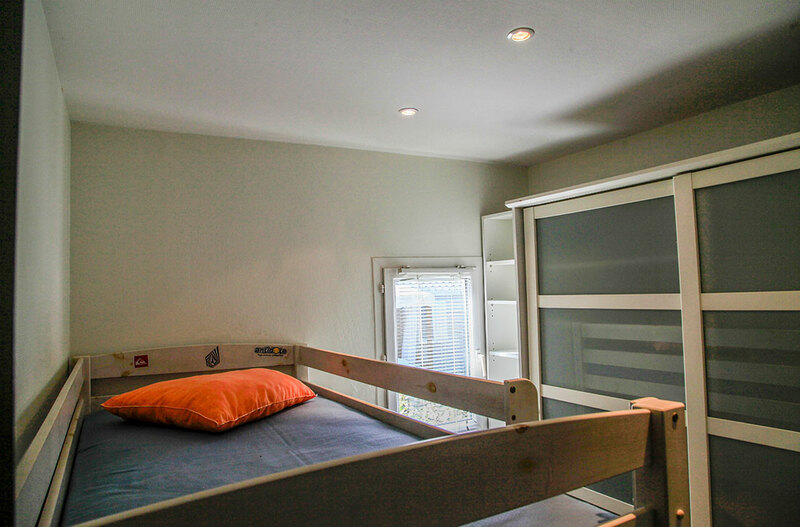 You have two bedrooms which sleep four and another bed in the living room, a wet room and a terrace. 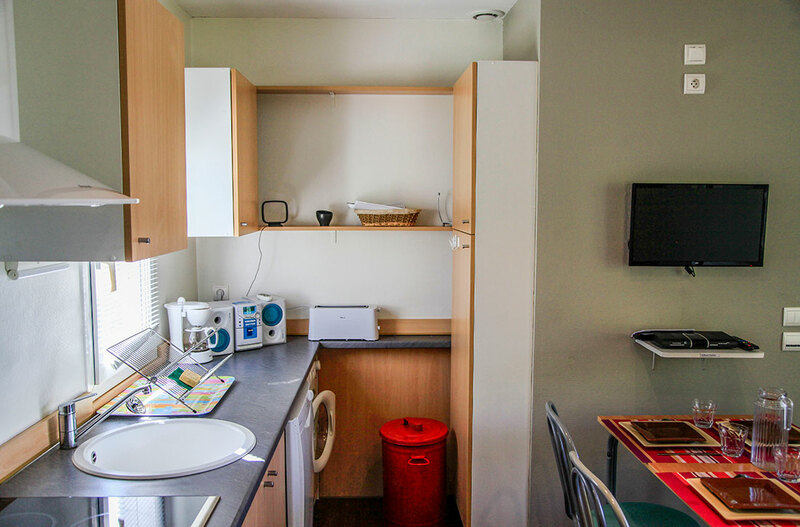 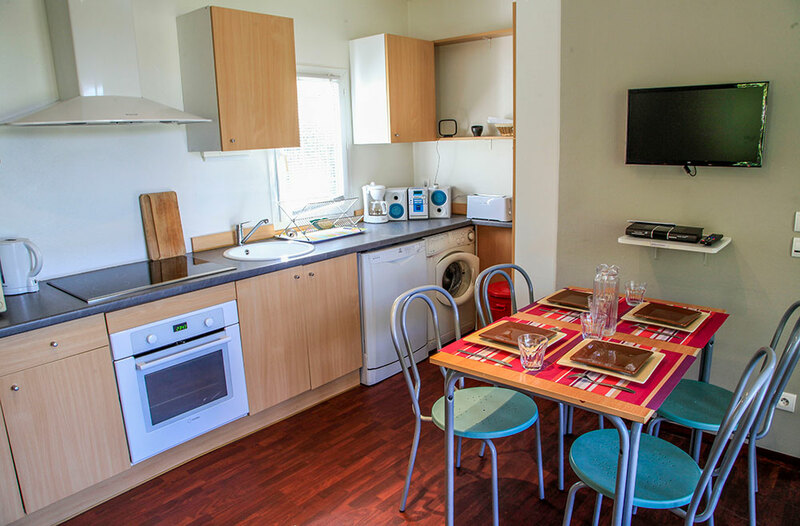 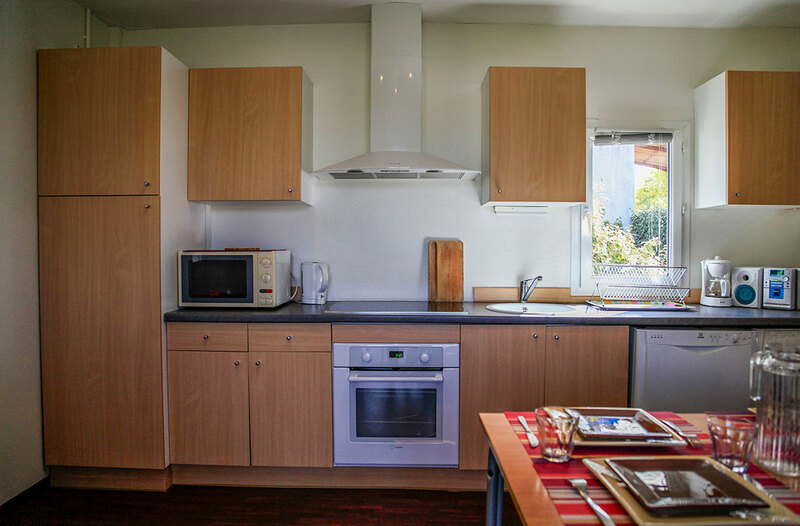 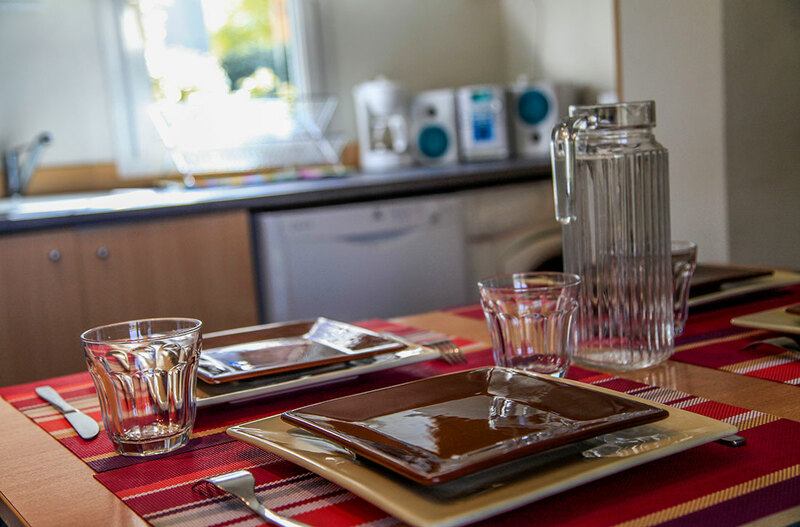 The chalets have a fully equipped kitchen.